Table There are 10 products. 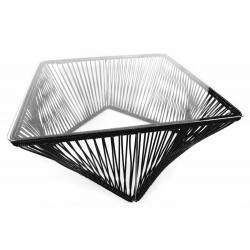 Veracruz rectangular coffee table, designed by François Bazenant, mixes soft line and rectangular shapes and diamonds to a sort of circular wave. 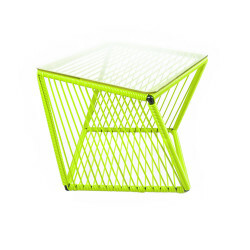 The coffee table initialy presented in a square format isnow presented as a rectangular design 50cm by 70cm,60x 90 and 70 x 110cm. 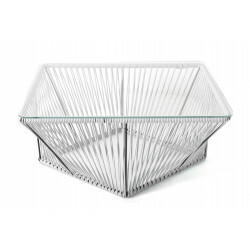 The coffee table MILA is designed by François Bazenant for an exclusive edition made by BOQA. 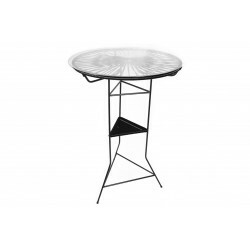 A round coffee table especially aerial and geometric.Mila leaves impression of volume and doesn't cut the light in the room. 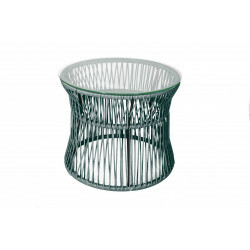 In the same spirit as the Acapulco chair, Mila offers visual space and lets free air in your living room. 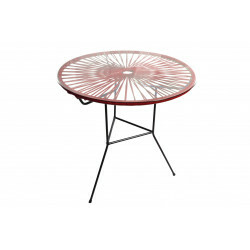 Offer yourself an outdoor table unusual, which will last over time and that will brighten your patio like a sun.The dining table Granmama with a diameter of 110 cm provides welcome from April to June dinners to eat comfortably. 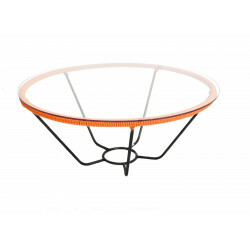 Its tempered glass with a thickness of 8 mm provides strength and optimum safety. The tip of Tico sofa designed by François Bazenan is a geometric work that will offer an artistic touch to your living room.You can find this design in an offbeat look that provokes thought.Difficult to define the possible shape of the table, classify the object, which is both unstructured and twisted. The side table that we offer you goes well around two deckchairs, Tulum. It may also dress the edge of your sofa or welcome your coffee and your French croissant on your terrace. Hoping that it assists you in good time. 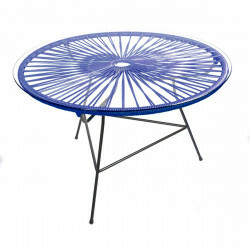 Tampico is a highdining table, made for outdoor and indoor use. You can add some Cenote Stool Bar to create a colorful set and have a welcoming eating area.